We live in a very cynical world these days. Many people have convinced themselves for instance that poker is now impossible to beat. Only good players these days they say! Everybody plays solid! But this defies the simple reality that there are plenty of people out there still making good money playing poker. Just because you aren't making money from poker yet, doesn't mean somebody else isn't. I live in a place full of online professional poker players here in SE Asia. They are around me every day. I talk to them everyday. And last time I checked you can't pay the rent with poker losses! There are many ways to make money from poker (even if you aren't very good yet) that don't even require very much effort at all. In fact, some of them are surprisingly simple as well! 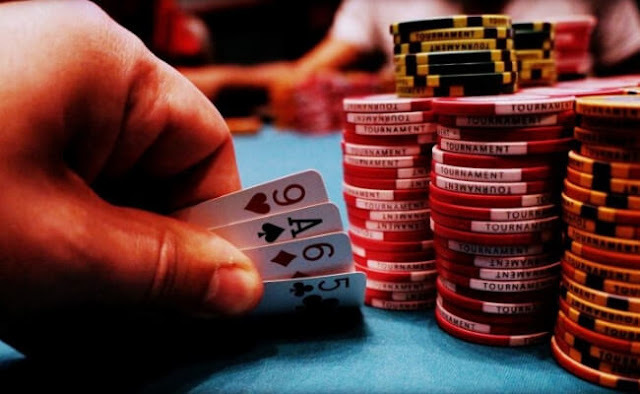 One of the easiest ways to start making money from poker is to make the earth shattering discovery that there are other poker games that people play that are not called Texas No Limit Hold'em. I know this is a shocking revelation for some people but please hear me out! 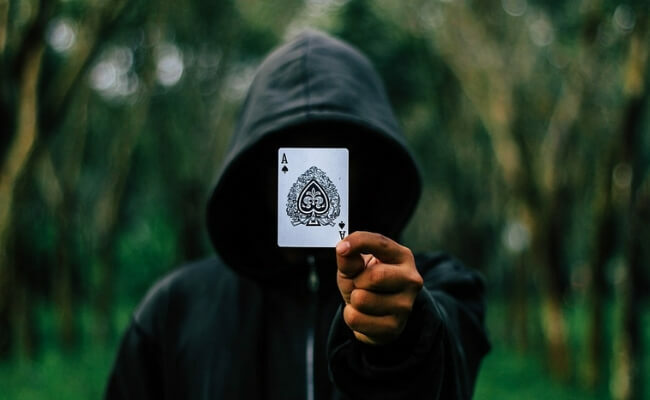 What if I told you that right now there are people on the internet playing poker games called Pot Limit Omaha, Stud Hi/Lo, Deuce to Seven Triple Draw and Open-Face Chinese Poker just to name a few? And what if I also told you that many of the people playing these games are really, really bad at them as well? That means that you only need to be a little bit better than them (or a little bit less bad) in order to make money in these poker games! If No Limit Hold'em is so impossible to beat these days (as the cynics will keep reminding you), then why keep complaining about it and just go play another game that people are bad at instead? 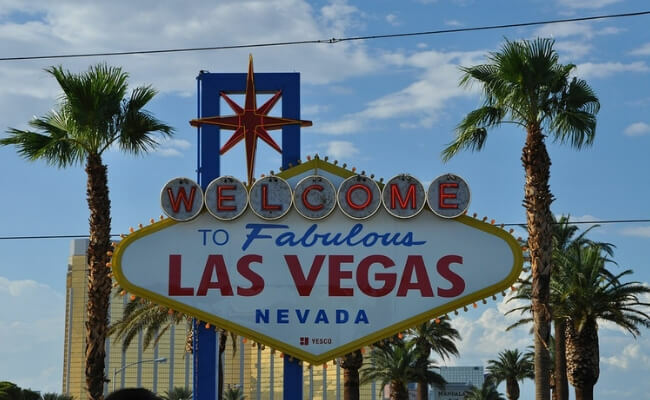 By the way, in reality there are still tons of terrible poker players who play No Limit Hold'em, both online and live, but I will leave that for another article. Another shockingly simple way to make money from poker these days is to just go play live. Like you know, that real life thing with real humans in a casino. Now I know this also might seem like a bit of a stretch to all the angry cynics out there who like to keep bitching about how impossible it is to beat online poker (even though it isn't). But let's just play along with them for a moment anyways. So instead of continuing to whine and complain about online poker (which solves nothing), why not just go play live poker which is available all over the world by the way? For instance, I have played poker against real life humans before in places like Canada, South Korea and the Philippines. And while I haven't made it over to 'Merica or Europe lately, rumour has it that they also have real life poker games against real life people there too! But here is the real kicker guys. Most of the humans playing in these games, especially at low stakes like $1/$2 or $2/$5, actually play shockingly bad. Like some high functioning primates could arguably play their cards better. In fact some of them are inebriated tourists who barely know the rules of the game. And most of the so called "regs" in these games could very likely not beat NL5 online. 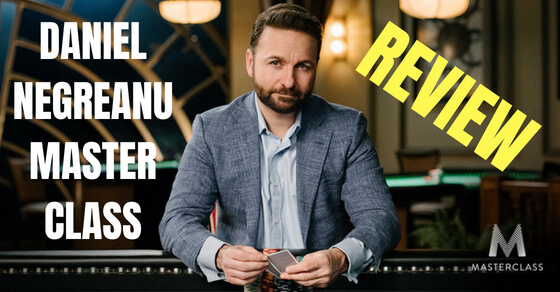 Conclusion: If you understand how to play even the most basic TAG poker strategy, you can probably print money in most low stakes live poker games. 3. Live Somewhere That Isn't So Damn Expensive! The last surprisingly simple way to make money from poker that I have for you is to simply move somewhere that isn't so stupidly expensive. Something they forgot to teach us in school is that you don't always have to make more money in life in order to increase your quality of living. You can simply lower your expenses too! 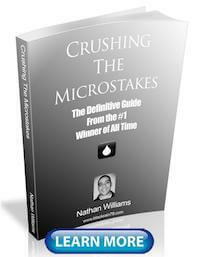 I play in the micro stakes poker games online. And I am either famous or infamous for how much money I have made in these games depending on who you talk to. 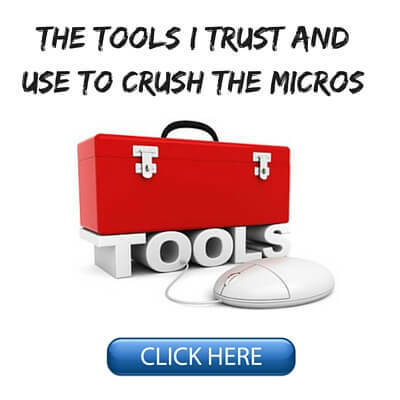 But it is still the micro stakes at the end of the day. Even though I play many, many tables, I am still only making money $2, $5, $10 or $25 at a time. Hard to get rich playing in games like this! I am also from Vancouver, Canada. For those of you who don't know, this is a pretty expensive city to live in, even for a "local" like me. So luckily around 6 years ago I made a shocking discovery that they have other places on earth where you can enjoy the exact same quality of life for a lot less money. I am talking 1/3 or even 1/4 the cost. They also have fast internet connections in these places too so I can keep grinding out my micro stakes poker games online and basically 3x or 4x my quality of life, overnight. So in early 2012 I made the crazy decision to book a one way flight to Bangkok, Thailand. This is a country where I can rent a fully modern condo with pool, a/c, gym and all the modern comforts right in the city (or near the beach) for as little as $300 or $400 dollars a month. The rooftop infinity pool at this condo was utterly sick by the way as well, arguably the best I have ever seen. This exact same condo would be $2000 a month minimum in Vancouver. And if you live somewhere even more expensive like LA, New York, London, Paris or Sydney, I can only feel your pain! By the way, there are countless other places around the globe where you can stop paying so much money to simply live as well! Some of the most popular ones right now are places like Medellin Columbia, Ho Chi Minh City Vietnam, Budapest Hungary, Lisbon Portugal and Bali Indonesia. The Nomad List is a great resource to find all the best "bang for your buck" places to live on earth. Many of them, like where I live, also have excellent weather year round. Nice bonus! Now believe me I get it though, hopping on a flight to a foreign country where you don't know anybody and don't even speak the language isn't for everybody. However, this is one of the easiest ways possible to make more money from poker because your expenses are suddenly lowered dramatically. So there you have it! 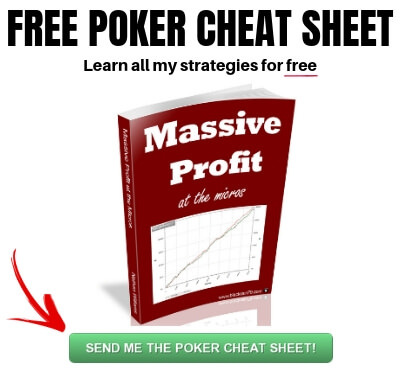 Three shockingly simple ways to make money from poker. My advice is to stop listening to all the negative cynics out there who believe it is impossible to make money from poker anymore. Look, is poker a walk in the park nowadays? Can you just sit down and print money? No, of course not. You have to work hard to win and stay ahead in most games, even at the lower limits. 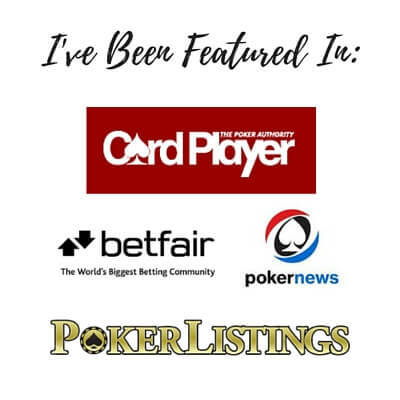 And as all my regular readers know, I am one of the very few people in poker who actually tells you this almost every single week on this blog! However to say that it is impossible to make money from poker anymore is just a ridiculous statement. 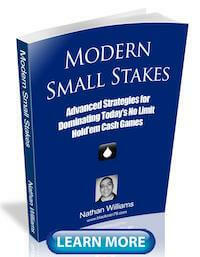 There are tons of ways to make the easy money in this game like I discussed in this article. And I didn't even mention stuff like private games, insanely soft apps, staking good players and teaching the game. 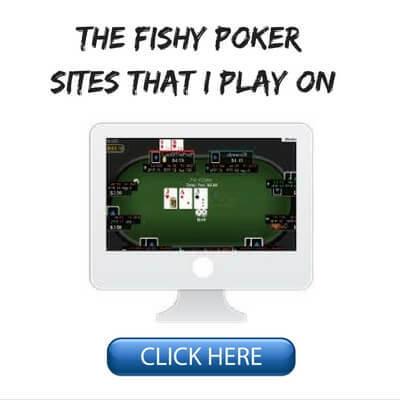 These are all highly profitable and easy ways to make money from poker as well. Look guys, we live in the greatest time in human history to control your own destiny and achieve whatever you want in life. In this digital age the opportunities are endless in poker and beyond. Go out there and get after it! Let me know in the comments below how you are hustling to make money from poker or in whatever else you have going on. Let me know your thoughts below. Do you think it is easy to make money from poker these days or hard? Great article, Nathan. I play on wsop/888 in NJ and 90% of the players are passive fish even at 50NL. How bad is the humidity in Bangkok? Lol, it's blazing hot and humid 24/7/365 in Bangkok. 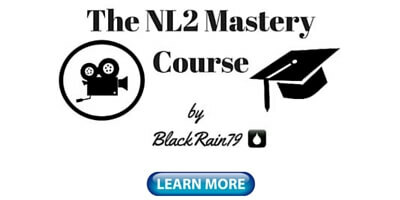 It has never been "easy" to make money playing Poker (or Blackjack). If it were, then everyone would be doing it. "We live in a very cynical world these days. Many people have convinced themselves for instance that poker is now impossible to beat. Only good players these days they say! Everybody plays solid! ": this is the self justification of losers. If anything, Poker games have been getting softer, and play has deteriorated noticeably, since I started playing on-line in 2015. It looks like going higher means worse players: 10NL, 25NL, 50NL play softer than 5NL and 10NL these days where I play. Maybe it's due to the improving economy? It could be venue dependent, but that looks to be the case at Carbon and Ignition. great article. I think it's harder to make money from it than maybe years ago, but I still think it's possible. I am very interested how you moved to Thailand. I wonder if you could stay there so easily as a foreigner due to visa. Are there no requirements to live in this country? Can I just rent a condo there without having a "real" job with a steady income? I am from germany and here you are as a foreigner only allowed to stay and rent a condo if you have a job here and a visa (and after it ends you have to leave the country). Also I was one time in spain and was not allowed to play online poker from there, because i am a German citizen. Is there no such problems in Thailand? How was your start there? What Challenges did you encounter there? Do you already have maybe also posted about your journey and how it's possible to stay and live in Thailand? Best regards and thanks for all your contet. You're really inspiring. Thanks Tobi, I am not advising anyone to just pick up and move to Thailand or any other country with these articles. I am just stating an option that I think many people do not consider. As for specific advice about moving here, visas, accommodation and all that, I get this question all the time (like seriously 3 times a day lol) and this is not a travel blog. This is awesome! I’d love to live in another country.. I still have to learn how to win at this game (10 years in the making)..
Did you have to get a visa to live in Thailand? Thanks William, yes as a foreigner I always need a visa to stay here. I cover all that in the article linked in the comment above. Many adjustments have to be made,also remember you ll need extra money for food and gas.Most people play bad,but at the cost of taking like forever to reach the long run.A bad downswing may last for 2 painfull months.Also the games are good during the evening and night where gamblers and degenerates visit the casino.Also friday and saturday nights are the peak days so forget about going to parties or for drinks with your pals during the weekend.Whenever people are having fun you are working.Last but not least be ready to put up with bad mannered people at the table,old men who rarely bath as wellas the drunkard next to you who stinks cheap whiskey and coughs every 2 minutes.Bur hey,who says there is a thing such as easy money?